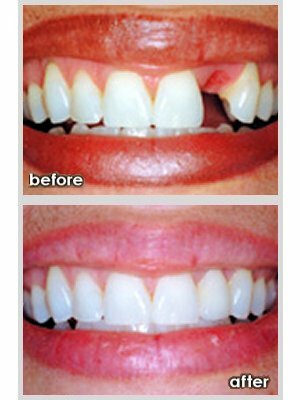 Metal and Porcelain Fixed Bridges – this is one option to replace one or multiple teeth. 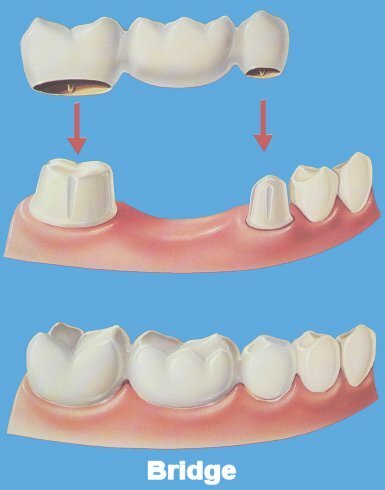 The teeth on both sides of the edentulous (no teeth) space are prepared so that a portion of the bridge may fit over the prepared tooth to anchor the bridge. The anchored teeth is what holds the bridge in place. The dental lab will fabricate on all metal, all porcelain or mixed metal and porcelain fixed bridge whichever you and your dentist decide together. The fixed bridge is then cemented to the teeth on either side of the space. Once cemented, one of your Queen’s Park Dental Team will provide you with instructions to brush and floss the bridge properly so it will last you a long time.